This footballer needs no introduction. We recently did a story that featured his whole car collection. Being a car enthusiast, he has a lot of fast cars in his garage. The Veyron is one of them. The one that he has is a Grand Sport Vitesse. Power comes from a massive 8.0 liter W16 engine making 1,184 Bhp and 1,500 Nm. 0-100 comes up in a lightning quick 2.6 seconds. Tom Cruise also needs no introduction. 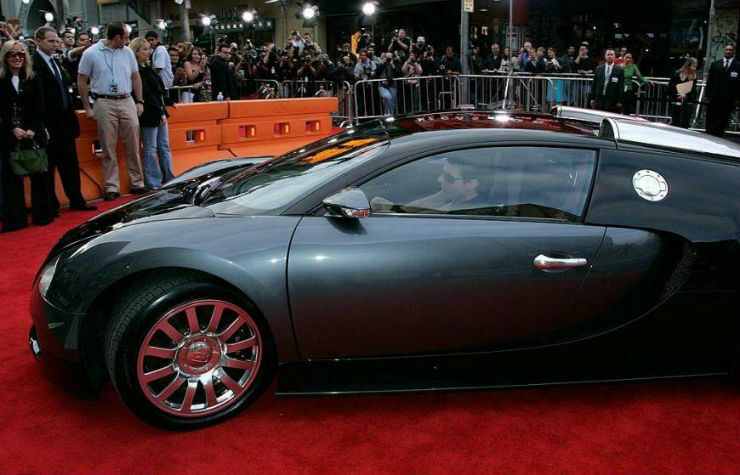 He arrived at the premiere of Mission Impossible III in style, in his new Bugatti Veyron. There are a lot of pictures of him getting off the car, onto the red carpet. For those who don’t know the actor, he has starred in many super hit films like Top Gun and the Mission Impossible series. 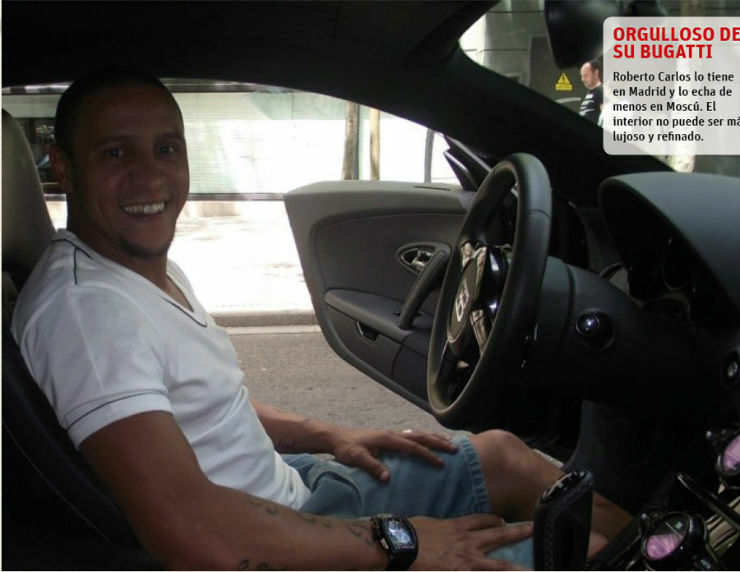 Roberto is a Brazilian footballer who has an Indian connection as well. He is currently coaching the Delhi team in the Indian Super League. 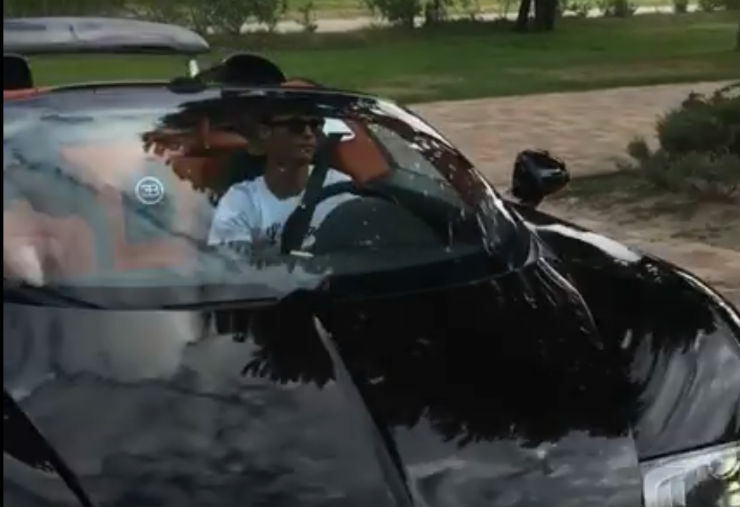 Looks like other than football, he also likes fast cars. He too owns a Bugatti Veyron. Jay Leno is a car collector and an American TV host. 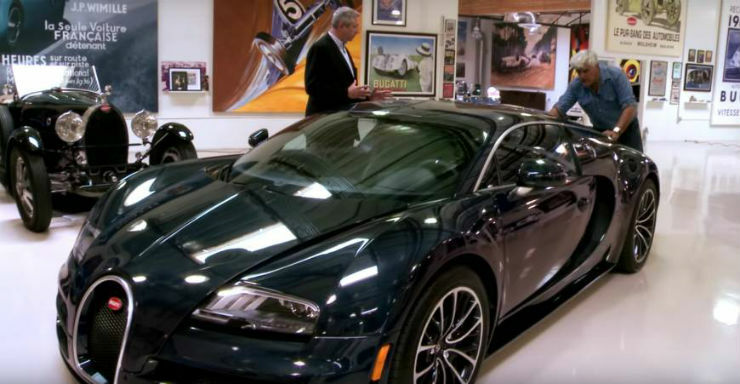 Leno loves cars, and there was no way that this one could not be in his garage. Jay not only has the Veyron, but a whole host of other Bugattis as well, going all the way back into the mid 1900’s. Floyd is a boxer has a huge car collection. A Veyron is a part of it. The Veyron in question is the Grand Sport Vitesse, and is finished in a black and orange paint theme that looks really nice. And he has a few other Veyrons in his garage.